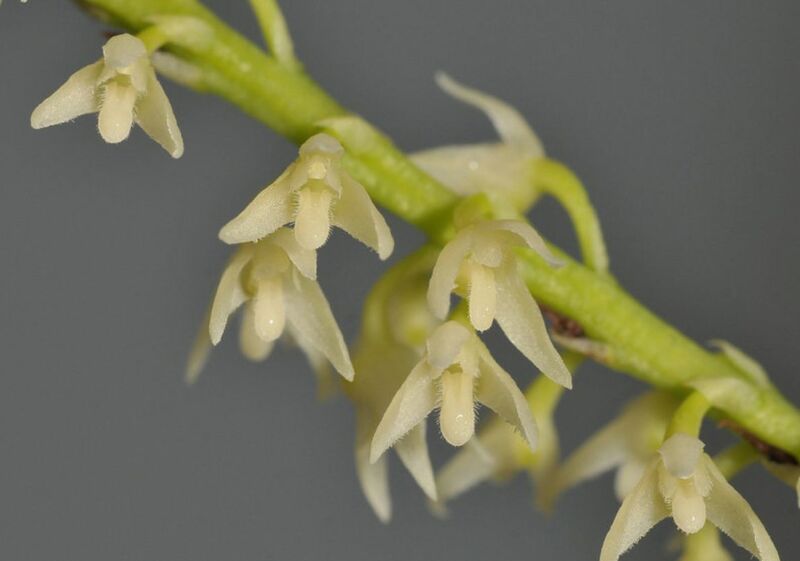 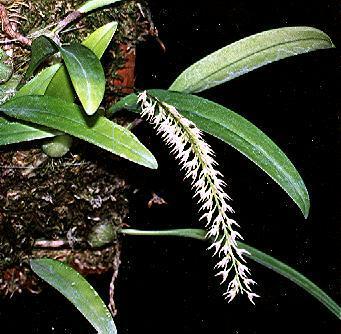 This unifoliate epiphyte is found in the eastern Himalayas, Bhutan, Sikkim, Myanmar, Thailand and Vietnam at elevations of 800 to 2200 meters as a miniature sized, warm to cold growing epiphyte with 2" [5 cm] between each globose pseudobulb carrying a single, apical, linear leaf and blooms in the late spring and early summer on a 6" [15 cm] long, basal, racemose, many flowered inflorescence that holds the flowers above the leaves. 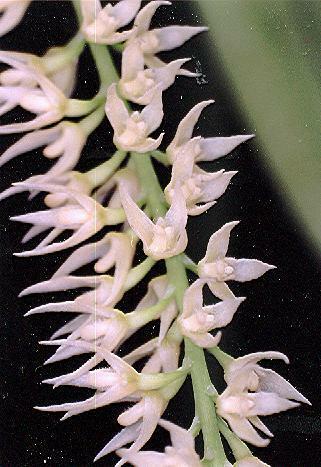 This species grows cool to hot and needs shade and high humidity. 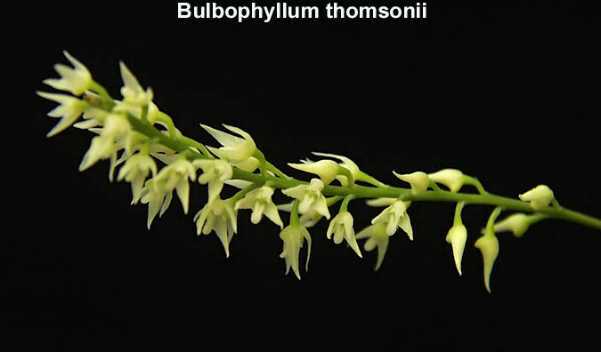 CAUTION Said by Kew to be a synonym of B parviflorum but I have no other references to see why so I have left them separate for now.